Straight off the bat, there are a couple of very important things to know. First up, drugs are very illegal in China. Don't do drugs here. Second, there has been a significant increase in drugs-related detentions and deportations for possession of, or testing positive for, drugs in China. Especially category B drugs such as marijuana. We spoke with the UK government in China in the hope of making British people (and everyone else) aware of the possible consequences of casual drug use – be it a fine, administrative detention, deportation, travel ban and/or criminal charges – and what recourse is available to people who are detained. Double the number of British people have been detained this year compared to same period in 2017. The crackdown is not just focused on municipalities like Shanghai and Beijing, but in cities across China. Within eastern China, approximately half the British Consulate cases are split between Shanghai and the provinces of Jiangsu and Zhejiang. 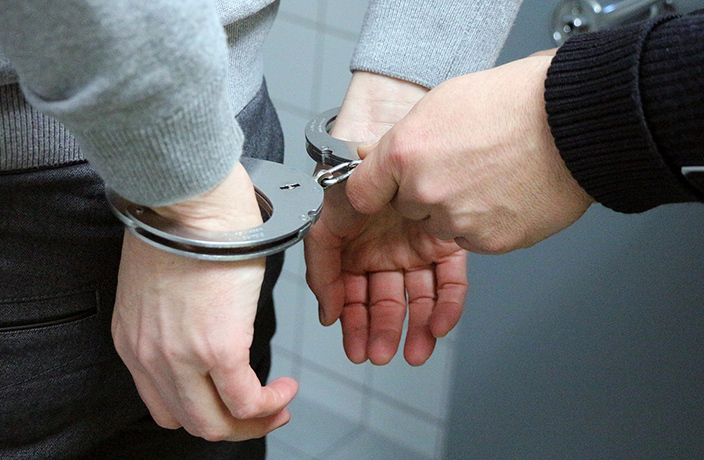 There has been an increasing number of deportations for possession of less than five grams of marijuana, with subsequent five-year travel bans imposed in most cases. While the information in this article was provided to That's by the UK government, it is safe to assume the situation is similar for people of every nationality. So non-Brits, please consult your own embassy or consulate for the equivalent information that is offered to Brits here. Either the detained person, their family/friends or employer will be expected to fund their flight back to the UK (or home country). The UK government can help by speaking to a detainee’s family, friends and/or employer in respect to funds, but they cannot provide money from public funds. 1. Criminal charges and more than six months detention for British guy when a group of friends smoked joints at his apartment. A group of friends had a small celebration at one of their apartments earlier this year. The police raided the gathering and many of the people present were found to have drugs in their possession, or tested positive for drugs after a urine test. Most were given 13 days administrative detention and subsequently deported. However, the British person renting the apartment faced criminal charges for accommodating others to take drugs, which saw him being detained for over six months. 2. Getting caught with a joint led to deportation and a travel ban. Earlier this year a group of teachers were detained for consuming marijuana. All of them saw administrative detention for 13 days, and all were subsequently deported directly from the detention center without access to their personal belongings or family. Some of them were given a five-year travel ban from re-entering China. 3. Caught up in criminal trafficking charges after possession of a small quantity of marijuana. A student was detained and found to be in possession of a small quantity of marijuana. They were charged with possession, and being involved in the possible trafficking of drugs, which could carry a substantial custodial sentence. While the student was held in a criminal detention center, they had no access to family or friends. The British Embassy and its Consulates cannot intervene in the judicial process, and the only resolution to criminal cases is through legal channels, which can be a lengthy process – up to 12 months or more – during which time individuals are kept in detention, with no access to family and friends. 4. Club raided, group detained, then deported for testing positive to have taken drugs. The group were in South China when the club they were in was raided by local police and, after failing a urine test, which showed they had taken drugs within the past three months, they were kept in administrative detention for 15 days before being deported. Once again, we cannot stress strongly enough that the best thing you can do is not do drugs. But, should you be caught and detained, here is what the UK government can do for you. The police will ask foreign nationals if they would like their consulate or embassy informed of their detention, and if they would like them to contact them. In the case of British people, consular staff will contact detainees as soon as possible after being officially notified of the detention, and visit them if they’d like them to. If a British person is detained for a longer period, consular staff will visit them on a regular basis (in most cases once a month). They will tell the detainee’s family and friends they’ve been arrested/detained, if they want them to – they can also help a detainee understand the benefits of contacting their family if they are initially unsure. They can then pass on messages to and from family/friends. Consular staff can give detainees information about the Chinese legal system, explain the prison system, mail and censorship, privileges and how to access medical services. They cannot give legal advice but can provide detainees with a list of English speaking lawyers in China. Put them in touch with a prisoners’ welfare charity called Prisoners Abroad. Please note, the UK government are limited in what support and advice they are able to give British nationals who also hold Chinese citizenship. Click here for more. Additionally, anyone entering China with dual nationality (neither of which is Chinese), and requires Consular support (such as in the event of detention and arrest) may be restricted to seeking Consular support from the country related to the passport they entered China on. Includes an outline of what the UK government can and can’t do if you are detained, with further specific guidance for China. Click here for more. The latest information on visiting and living in over 225 countries (including China!). Includes advice on entry requirements, local laws and customs and much more. Create a subscription to get email alerts when advice changes. During a crisis, such as a natural disaster, these pages are updated first. Click here for more. Includes a range of advice from accessing healthcare, finding English speaking lawyers to how to vote while abroad. Click here for more. This UK Consular channel keeps you up to date with their latest news and current trends in China which may affect British people. Expats need not worry about a dearth of visa agencies going forward. After a three-year hiatus, multiple airlines brought back the fuel surcharge. Bad behavior can now result in a temporary ban from China's trains and planes. Terrific news for pet owners! (And bad news for travelers with allergies). One small step for airlines, one giant leap for passengers.